To most of us Carl Douglas is mainly considered a one-hit wonder with his homage to 1970s martial arts movies ‘Kung-Fu Fighting”. It was not only the biggest-selling record of 1974 but it also sold a quite staggering 11 million copies worldwide and is the 20th best-selling single of all time. Sterling work there Carl. However, rather than focus on the big sellers here what we like to do is dig out the rarer nuggets or the unexpected gems as our title suggests. Douglas was by no means an overnight success and had been beavering away on various musical projects since the mid-1960s. He started off in The Charmers which then morphed into the Carl Douglas Set before settling on Carl Douglas & The Big Stampede. 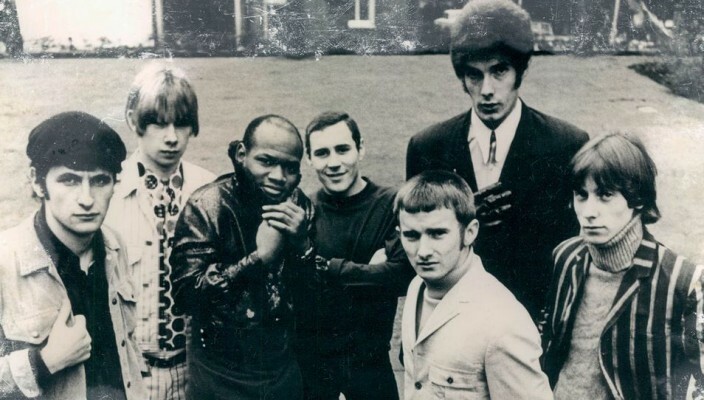 During the mid-to-late sixties the band toured incessantly throughout the UK and Europe playing a schedule that would make James Brown dizzy and built themselves quite a following. Their reward was a record deal and ‘Crazy Feeling’ was the end result. It troubled the lower reaches of the chart and the band went on to have several other minor hits thereafter but none of them has quite the energy or ambition of this organ-grinding, horn-driven slab of garage grit you’re about to hear.